Reuthlinger's B&B Our records show that this inn is closed. Under The Greenwood Tree Our records show that this inn is closed. Carpenter Hill Inn Our records show that this inn is closed. Waverly Cottage & Suites Our records show that this inn is closed. Wolfe Manor Inn Our records show that this inn is closed. Neil Creek House Our records show that this inn is closed. Albion Inn Our records show that this inn is closed. Ashland Mountain House Our records show that this inn is closed. Medford bed and breakfast travel guide for romantic, historic and adventure b&b's. 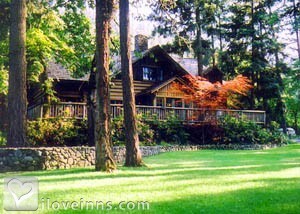 Browse through the iLoveInns.com database of Medford, Oregon bed and breakfasts and country inns to find detailed listings that include room rates, special deals and area activities. You can click on the 'check rates and availability' button to contact the innkeeper. In terms of land area, Medford is considered as the fourth largest city in the state of Oregon. Interestingly, it is not really its being an urban center that Medford can take so much pride in. Instead, the city treats its tourists with great natural sights which it has many. The advantage in being urban though is that it has also a variety of Medford bed and breakfast inns where tourists can have accommodations at reasonable prices. The Medford bed and breakfast inns themselves may also facilitate the tours in the locality. These may include a boat trip on the Rogue River or on the Howard Prairie Lake. Another site that tourists must not forget to visit is the Natural Bridge Loop, which is a hiking path along the Rogue River. While at Medford, tourists can certainly enjoy their dinners at several amazing restaurants such as Pomodori Restorante, Wasabi Sushi Japanese Restaurant, and Caf� Dejeuner.